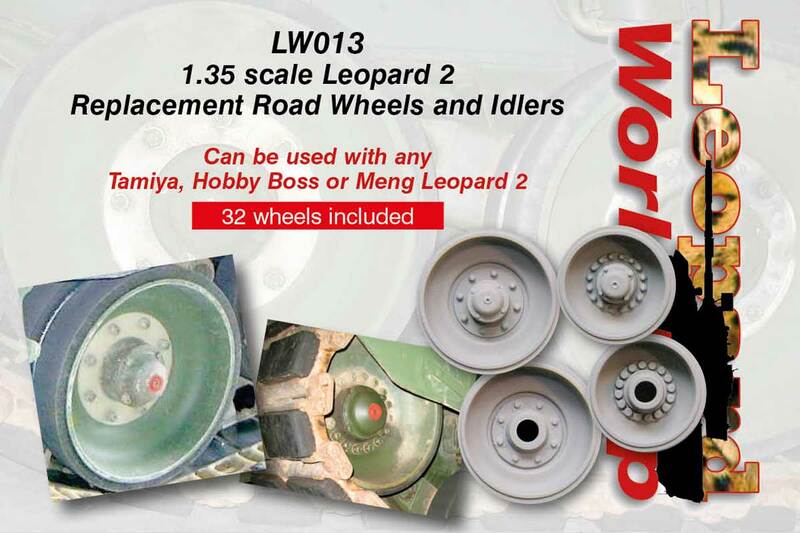 Can be used with any Tamiya, Hobby Boss or Meng Leopard 2. 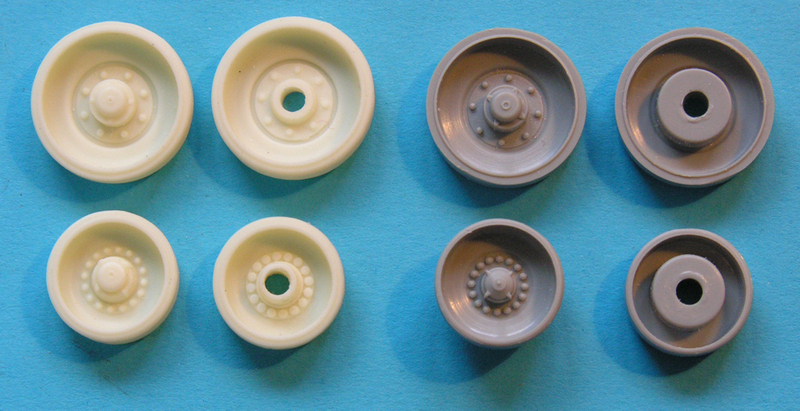 Most previous Leopard 2 road wheels in plastic have one thing in common. 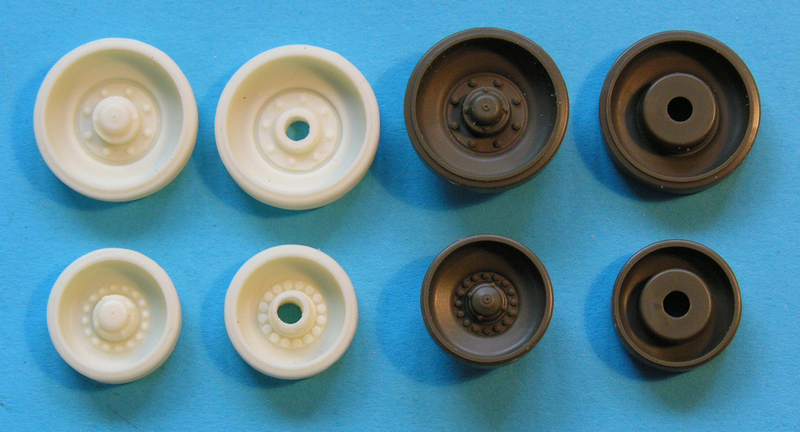 Not many of them have any detail on the rear face of the road wheels or idlers. This set remedies this fault. Straight fit with no problems. LW013 on the left, Tamiya on the right. The road wheel axle holes need to be drilled out to 3.2 mm. The idler axle holes need to be filed out slightly. LW013 on the left, Hobby Boss on the right. The swing arm axles are thinner than the Tamiya ones these wheels were designed for. Therefore, wrap the axles with masking tape to get a good fit. 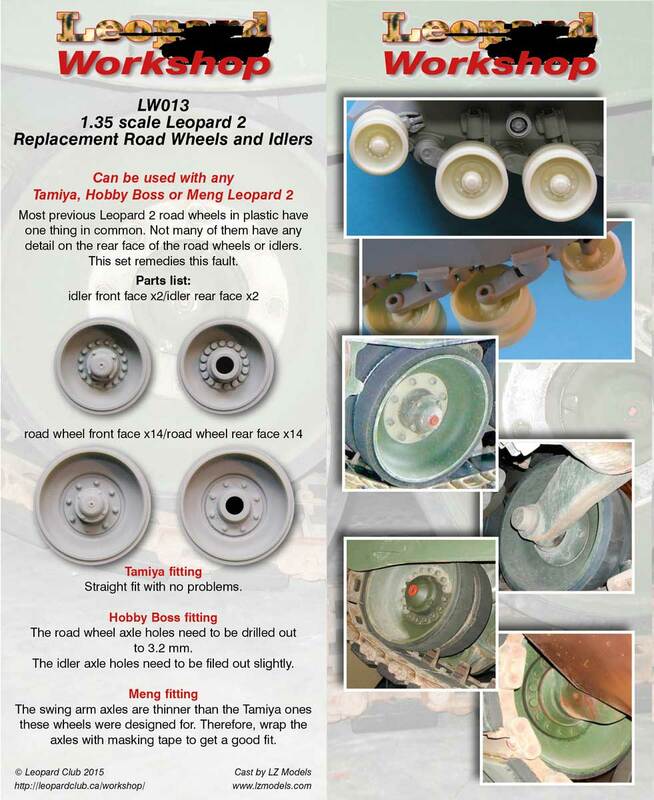 A review of this wheel set by Kenneth Østergaard may be found posted on Armorama. A review by Tod Michalak may be found posted on Modelers Social Club.